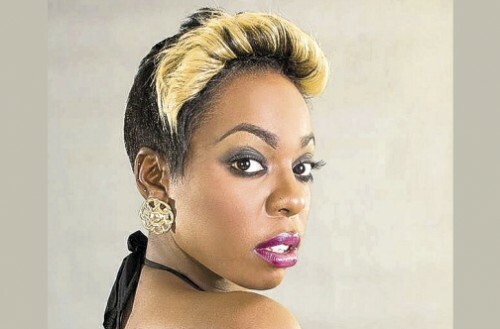 KINGSTON, Jamaica — Sources have confirmed that singjay J Capri, who was hospitalised for more than a week following a motor vehicle crash, has died. The entertainer reportedly succumbed to her injuries this morning at the University Hospital of the West Indies in St Andrew. Social media users on Twitter and Instagram are seemingly in disbelief as they await confirmation while others, including beauty queen Yendi Phillipps, have already started expressing condolences. The 23-year-old, whose full name is Jordan Phillips, was on November 23 rushed to the University Hospital of the West Indies and reportedly underwent surgery after suffering from what is said to be a fractured skull as well as brain damage. An appeal went out for people to donate blood on her behalf. Days after, despite being in an induced coma, she was said to be showing signs of improvement. Reports are that the ‘Wine and Kotch’ singer was travelling on November 23, in the Barbican area of St Andrew about 3:00 am when she reportedly lost control of the car she was driving, which slammed into a wall. 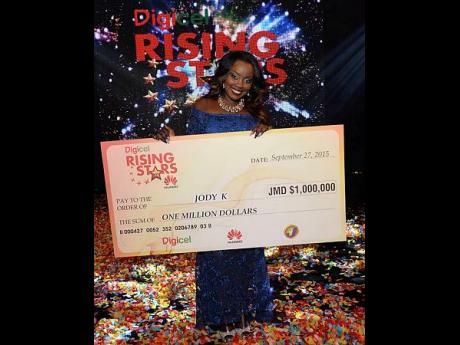 Jody Kay poses with her winning cheque in the amount of $1 million as the 2015 Digicel Rising Stars. 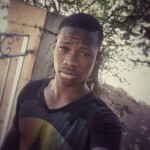 Jody-Kay is the winner of season 12 of local talent competition, Digicel Rising Stars. Jody Kay – a biology teacher at the St Andrew Technical High School – was in the final battle with Marsha K for the top spot and bragging rights. As part of her prizes, she takes home $1 million cash and an album distribution deal. A front-runner known for her dramatic and well-rehearsed performances, Jody Kay entered the final night confident. Marsha Kay, the wild card entrant of Rising Stars judge, Conroy Wilson, said her confidence had steadily built going into the final night. She received the second-place prize of $600,000. The 26-year-old St Elizabeth Technical High School old girl was born and raised in the community of Crawford in the parish. Following last week’s renditions of three songs each by the two finalists, the Rising Stars judges had given Jody-Kay the edge 2-1.